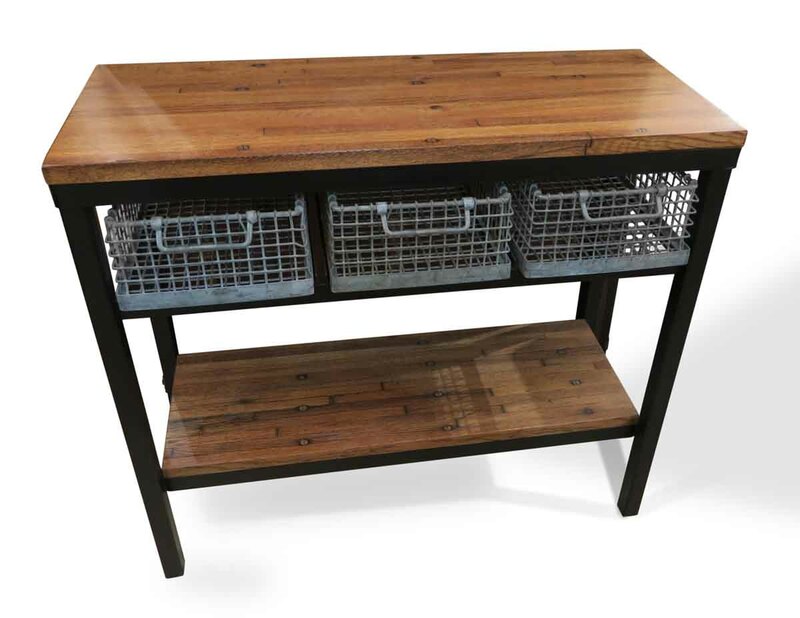 This handsome piece is made of steel with three vintage galvanized basket drawers. 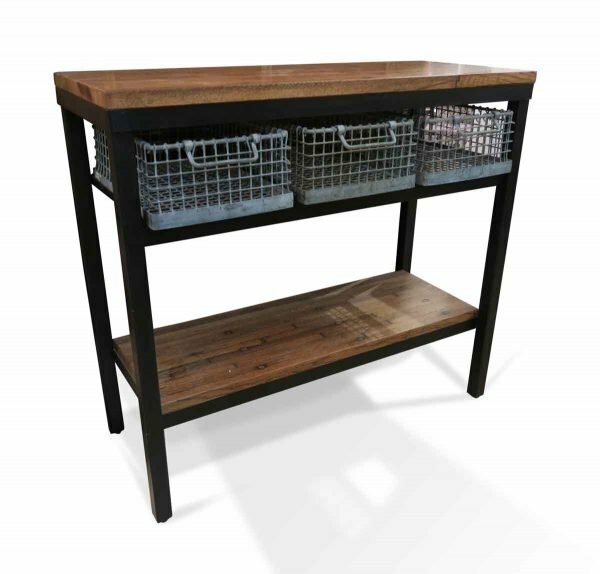 It is finished with our reclaimed industrial wood on both the top and lower shelf. Our reclaimed white pine or other wood or marble may be requested. 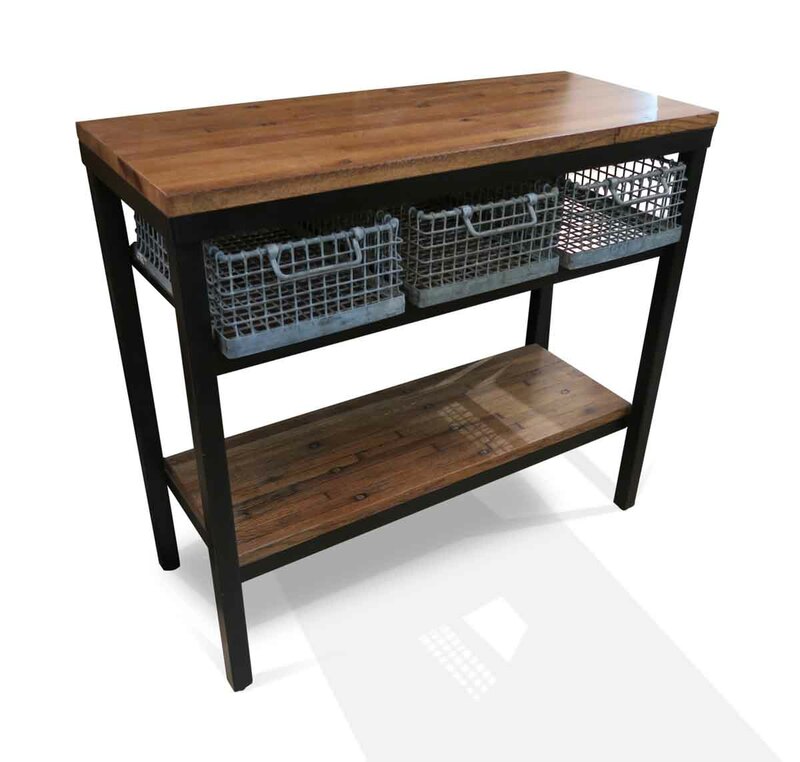 This is our stock size but can be made to your specifications. Priced each.